The weather could not be better in the garden! The Green Growers started their day with an introduction from Sandra. 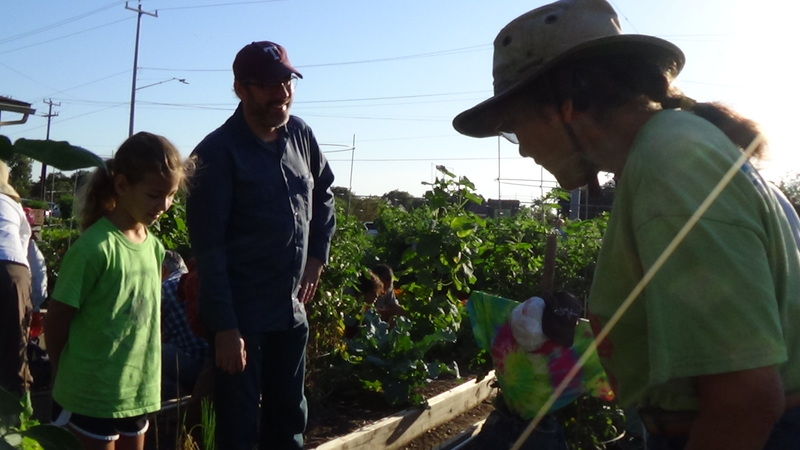 She visited all our garden beds and assigned the days replanting. 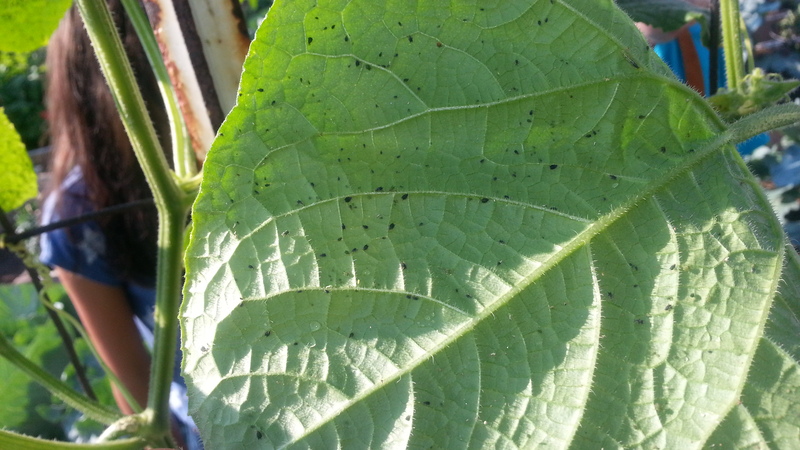 Green Growers continued maintenance chores and found there was a growing aphid population on their cucumber leaves. 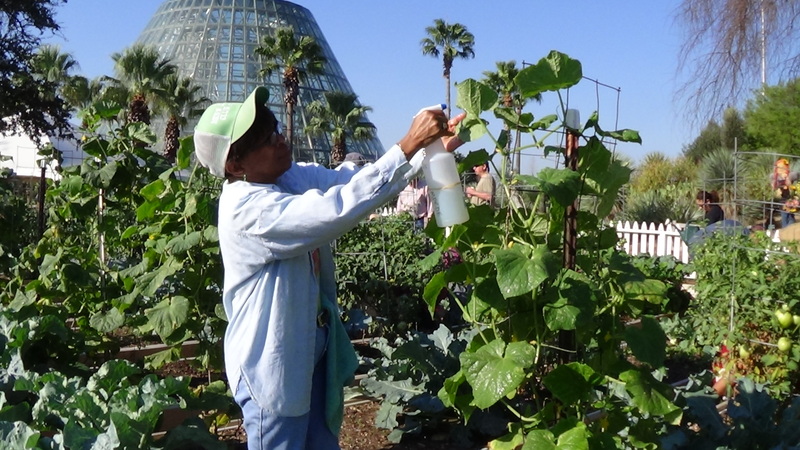 Master Gardeners were assigned the task of carefully applying the wash to the cucumber plants. 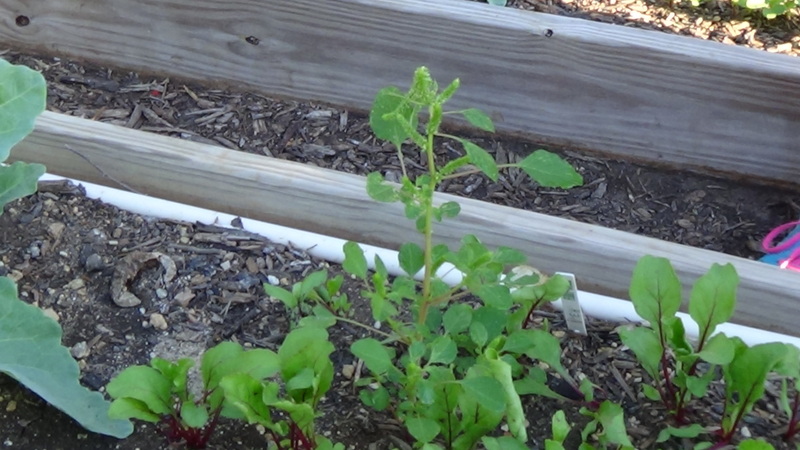 Sandra identified a rouge amaranth plant growing like wild in our section! Nathan added how easily it was for this plant to spread seeds with high winds and nearby plants. They can grow over 6 ft. tall! We replanted Radish, Beet and Lettuce seeds. 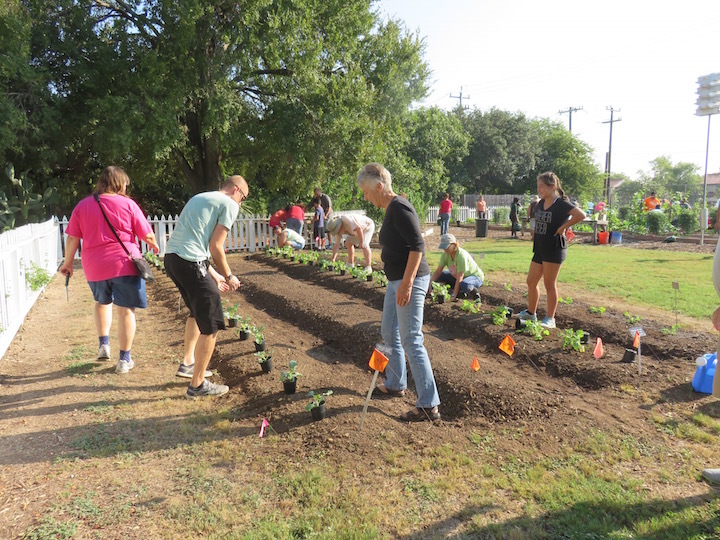 Since there are not many weeks left in our project this weekend was a great time to replant. The Children learned about separating the bunching onions and leaving one to start a new bunch! Maxi harvested a few tomatoes. There were a few Kholrabis that were ready to go! 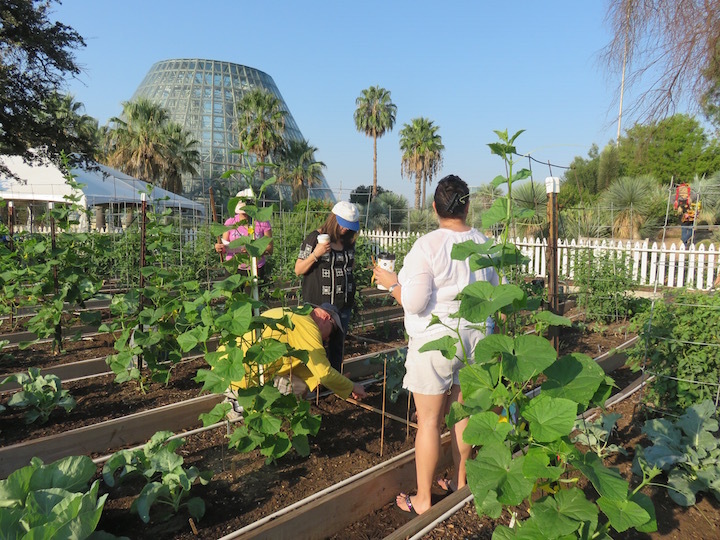 Sandra said that everything on the knolrabi is edible, “except the dirt!”. Our Green Growers continued harvesting today. 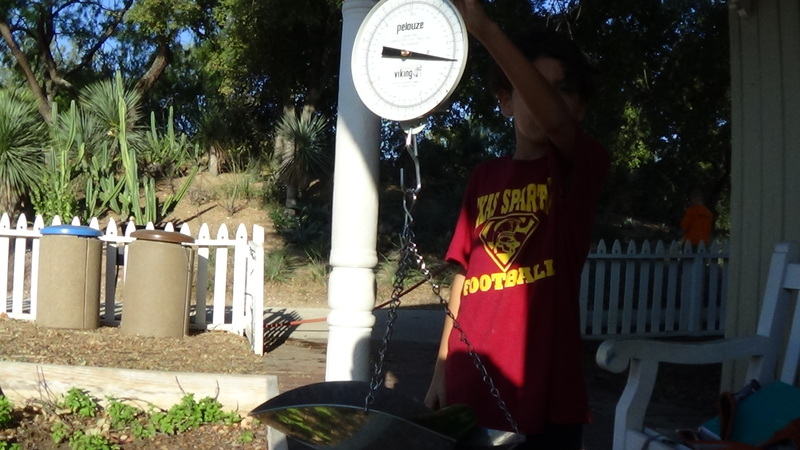 Angel had 2 cucumbers that weighed over 3 lbs.! . The yield for our bush beans was no much but we are hopeful that next week will be recipe trading time! Thank you Mary! She examined our sick cucumber plant in section 34. There may be a problem with how the plant was watered? 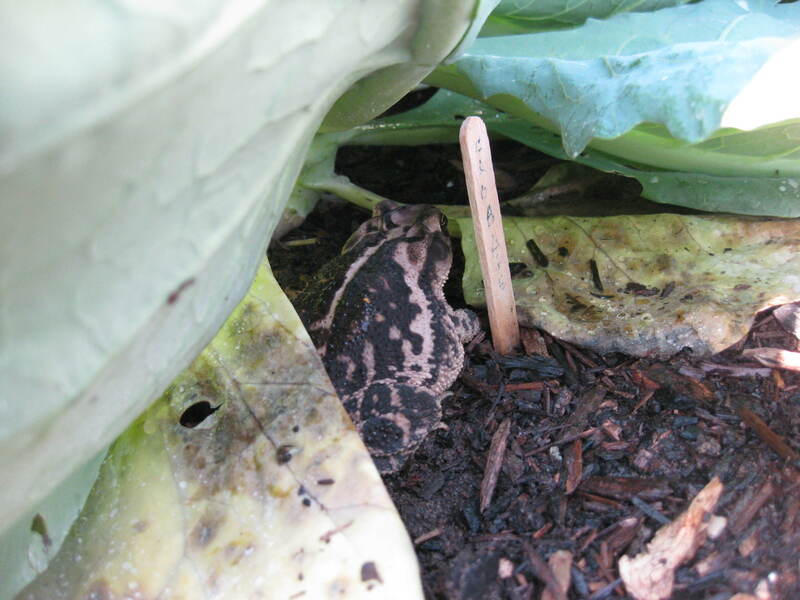 She took some pictures and looked for obvious holes where worms may have entered. 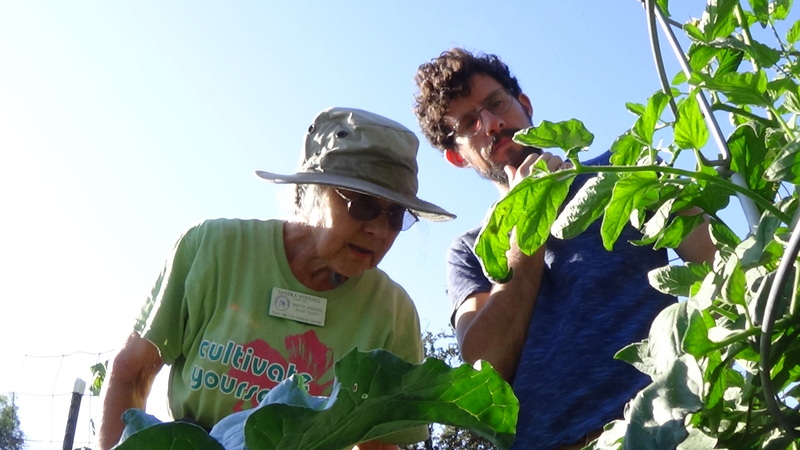 Mary returned with a plan from David Rodriguez- CEA- Horticulturist for tExas A&M AGriLife Extension on how to rescue this one? No further watering was recommended and we will continue to watch. Next, Green Growers gathered for a Bingo activity hosted by JMG. 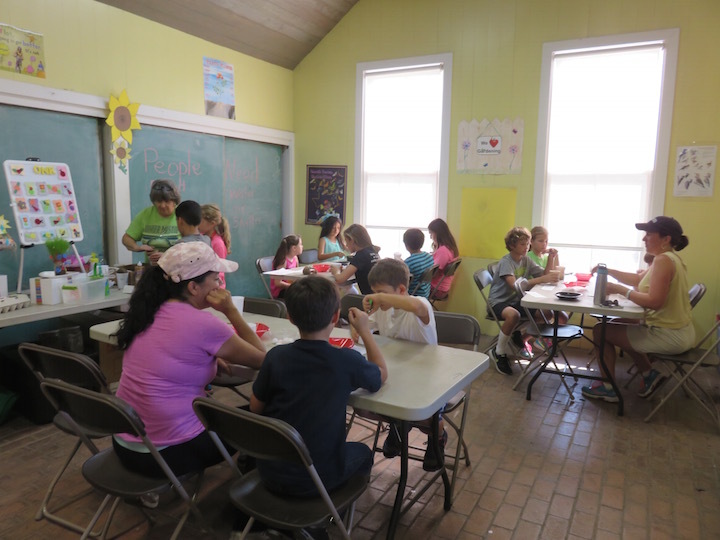 Children were given a tour of the succulent plants in the Botanical Garden. There was a bingo game using questions about these plants and many prizes! 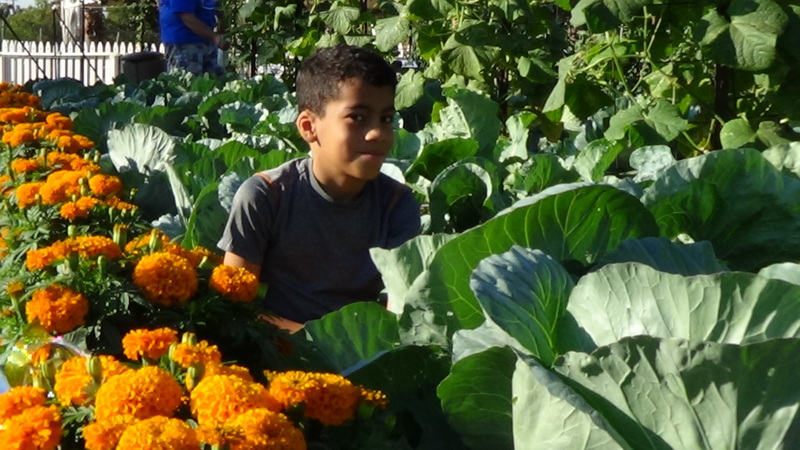 Here is Miguel giving the garden a smile! 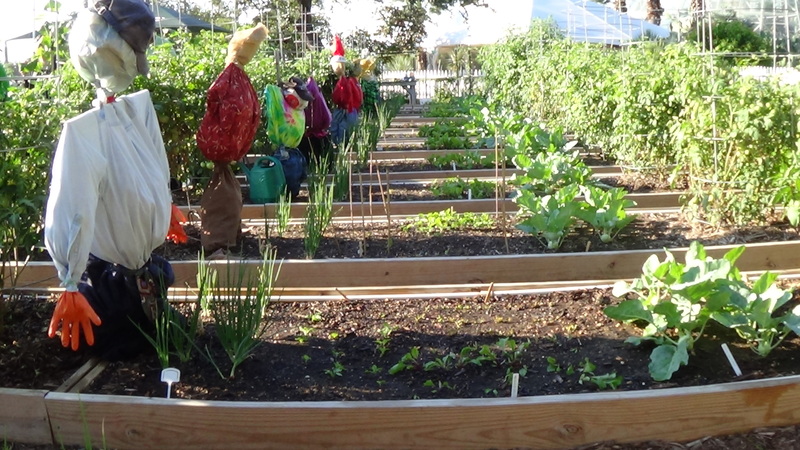 Our scarecrows are lined up and ready for Halloween! After all these activities it was time to clean up! The gardeners are preparing for a large number of visitors next week! 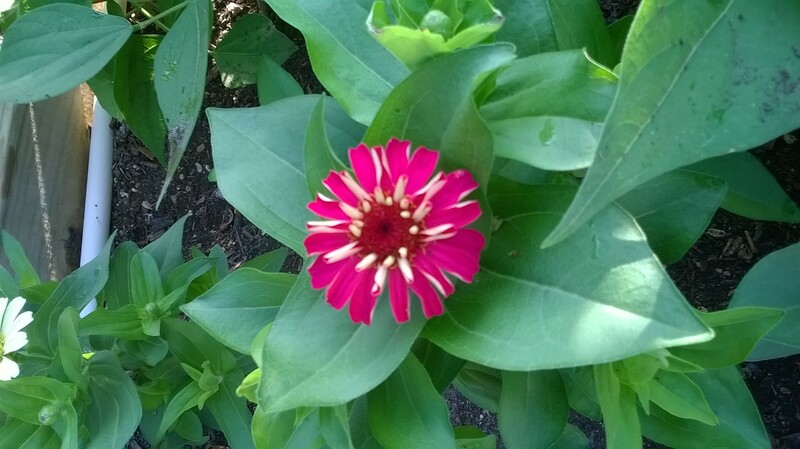 Our flowers are blooming and here is a look at what they are going to see! 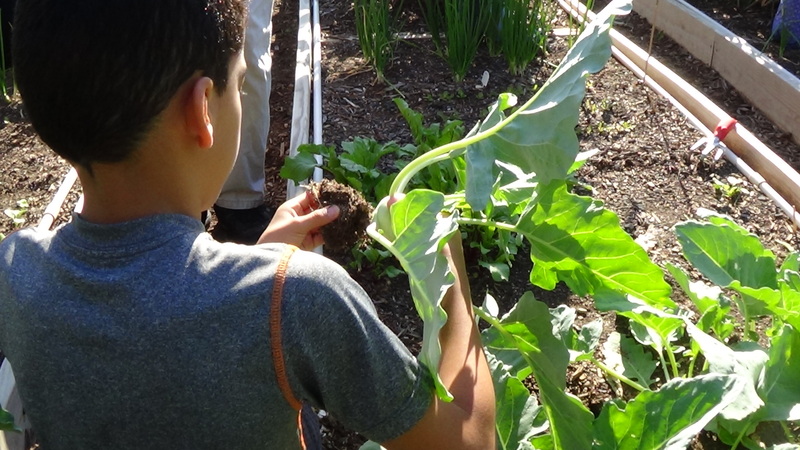 Welcome to week 8 at the Children’s Vegetable Garden! 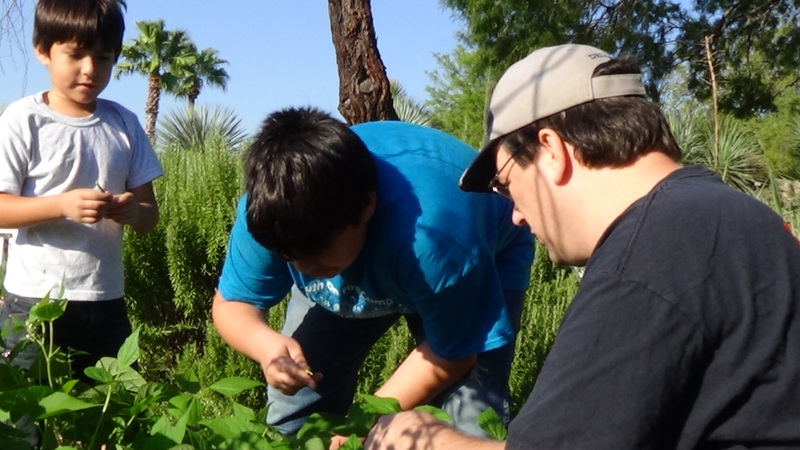 This week we were on bug patrol and weed maintenance. 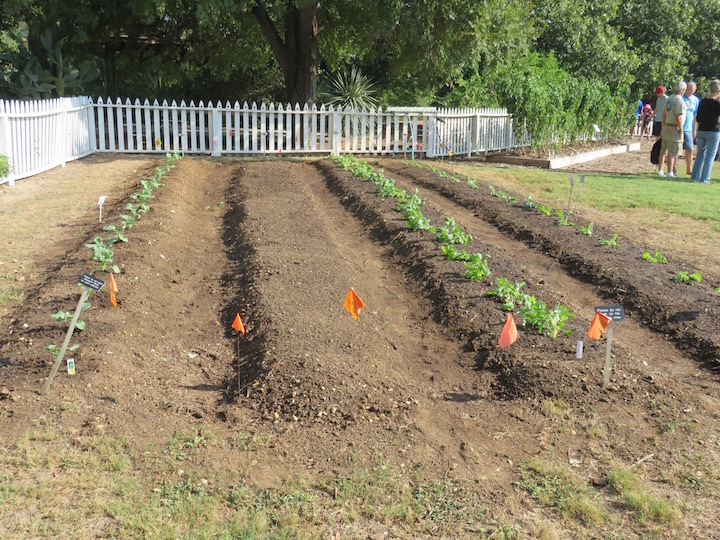 All of our Fall crops have been planted and are looking good. 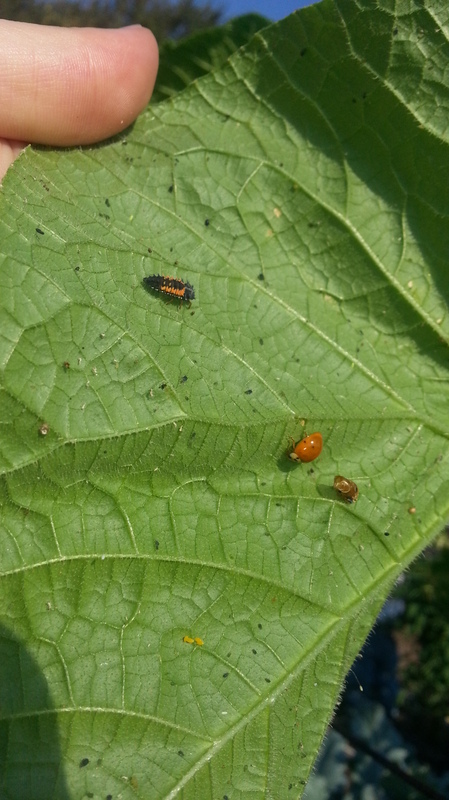 We found several of these Cucumber Beetles Aphids and Leaf-footed nymphs. We just gently rubbed them off the leaves. We didn’t find any Cabbage Loopers, but we knew they had been there by the looks of these cabbage leaves. We were sure to leave the good guys,though. We found plenty of lady bugs and lacewing eggs and adults. 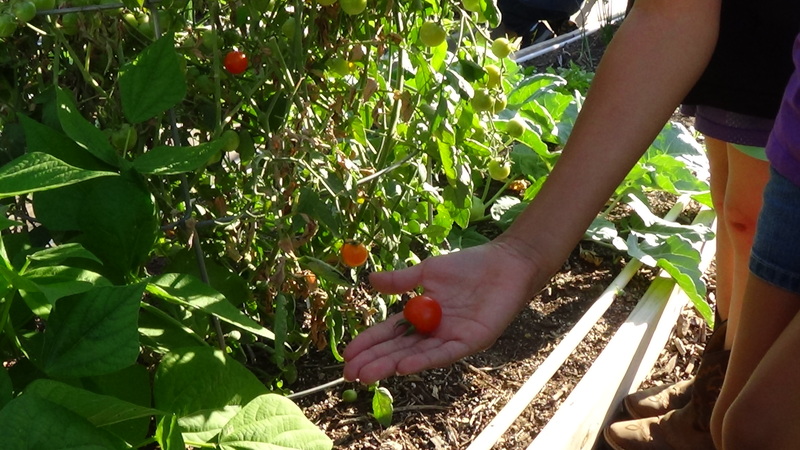 The garden was full of life and it was so amazing to see all the garden working together. 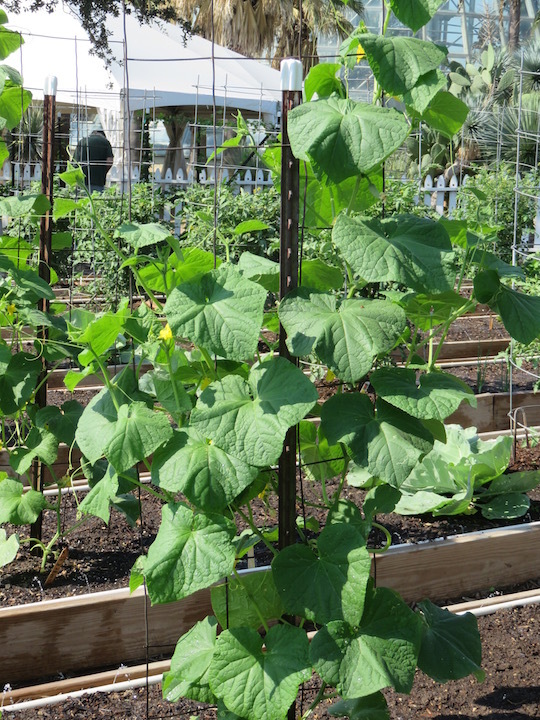 We harvested any cucumbers and gave the garden a good drink of water. 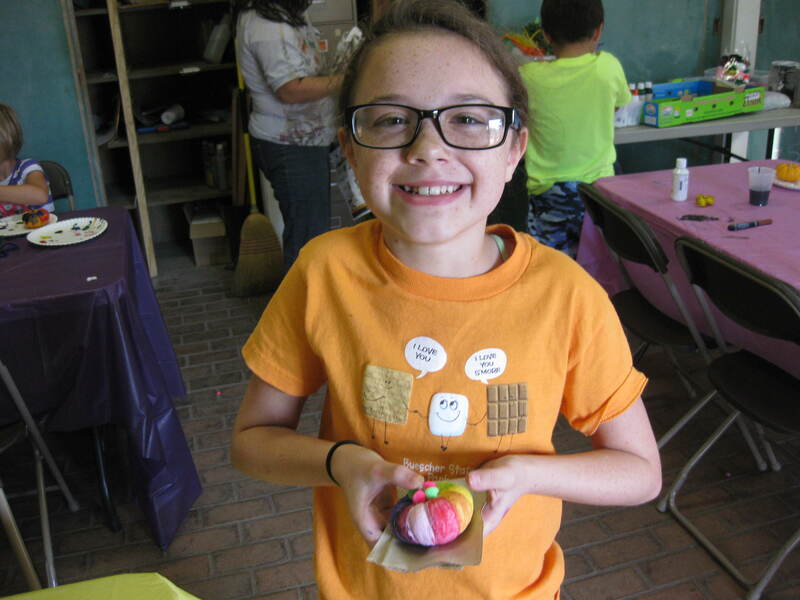 Our students decorated pumpkins is the spirit of the Fall season and leaned about how pumpkins originated in Mexico and then were brought to North America. It is said that at the first Thanksgiving, the pumpkin pie served was made out of a carved out pumpkin filled with cream, and originally pumpkins were very fibrous and were used as mats! 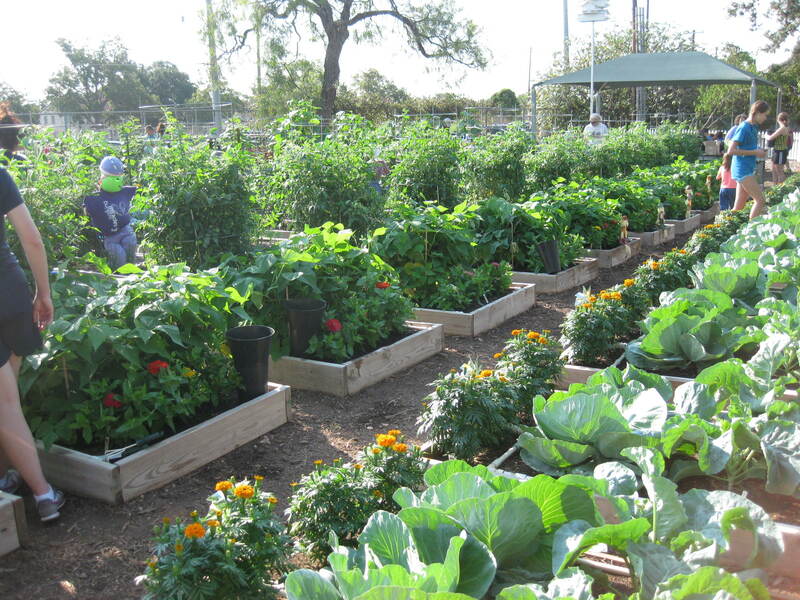 Keep working hard in your garden and get ready for a good harvest this year! Fall has is here! The Green Growers started their day with an introduction from Sandra. 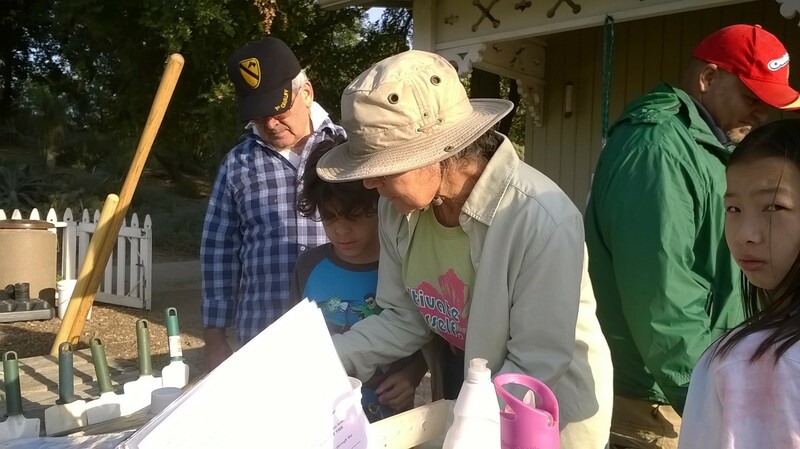 She distributed Radish and Lettuce seeds and gave a demonstration of row placement and soil preparation. 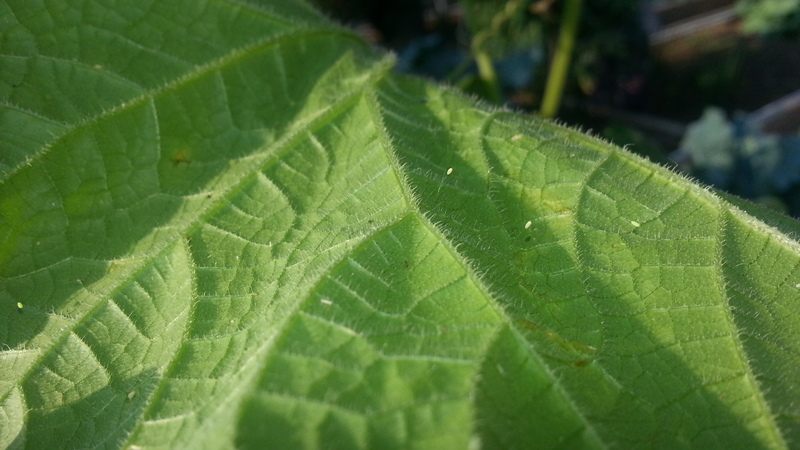 Green Growers continued maintenance chores and found Lacewing eggs on their cucumber leaves. These will grow to be helpers in the garden she explained. 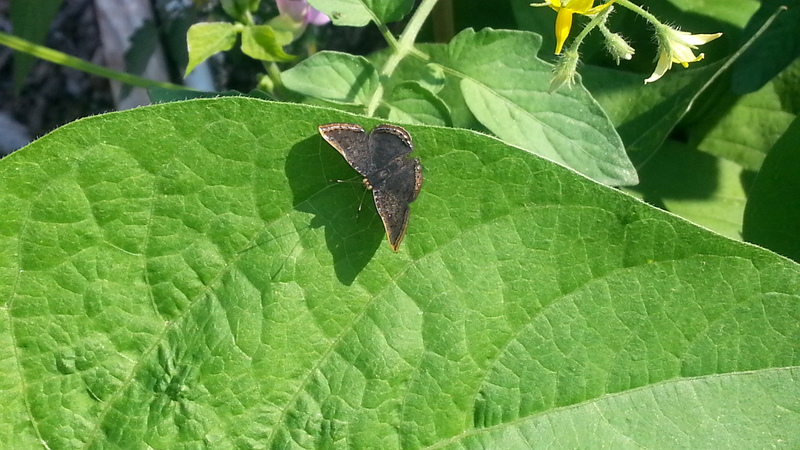 Sandra said “Tomato Horn Worms are making their presence known in the garden”. She continued “We should look for them assiduously!”. 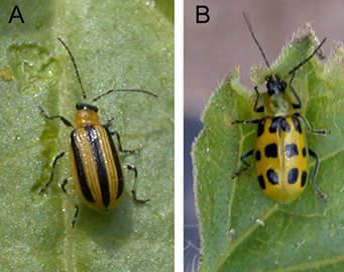 Striped and spotted yellow beetles were promptly squished and all orange or red bugs were welcomed and talked to nicely..
Next, we planted Radish and Lettuce seeds. 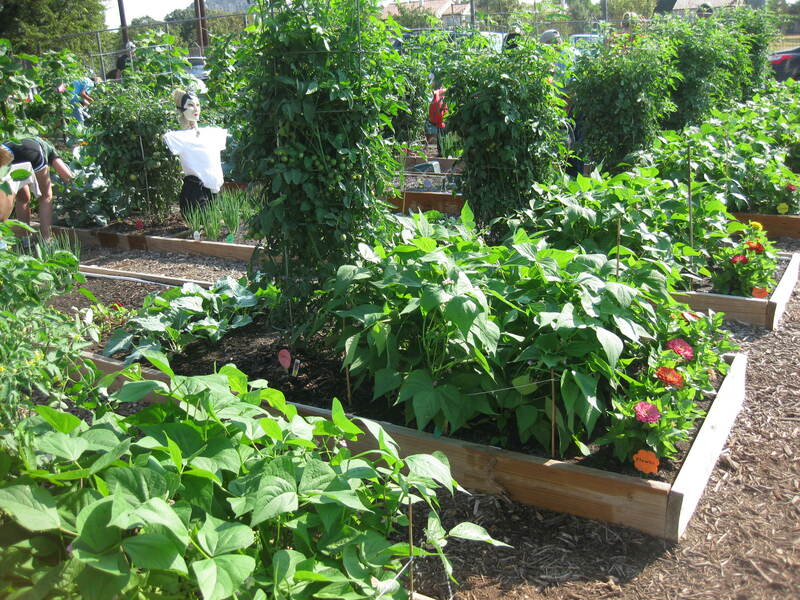 Since the garden is almost fully grown it is important to use the remaining space wisely. 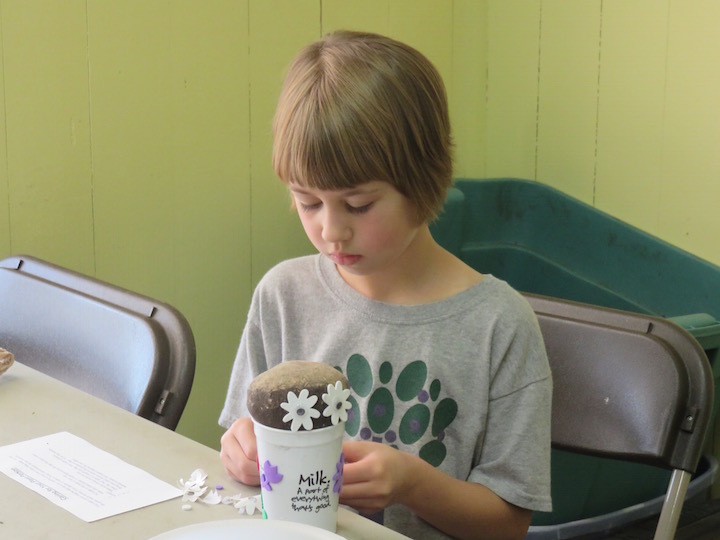 These seeds were not coated so they were easier than carrots to put in place. 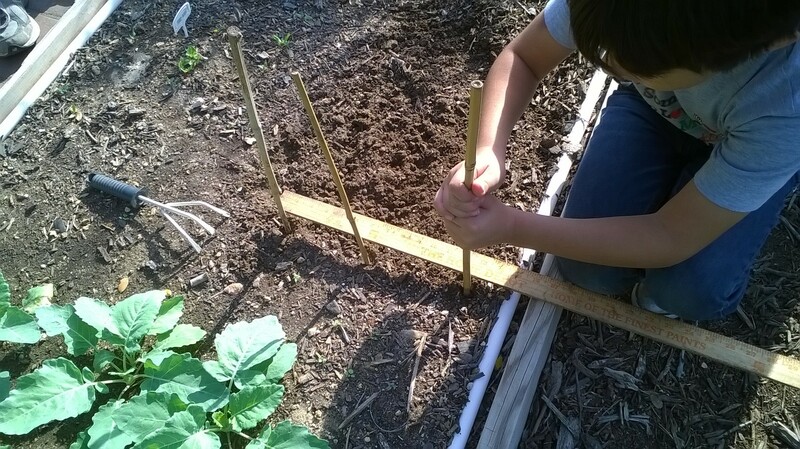 The soil was first watered, hand tilled and then staked. 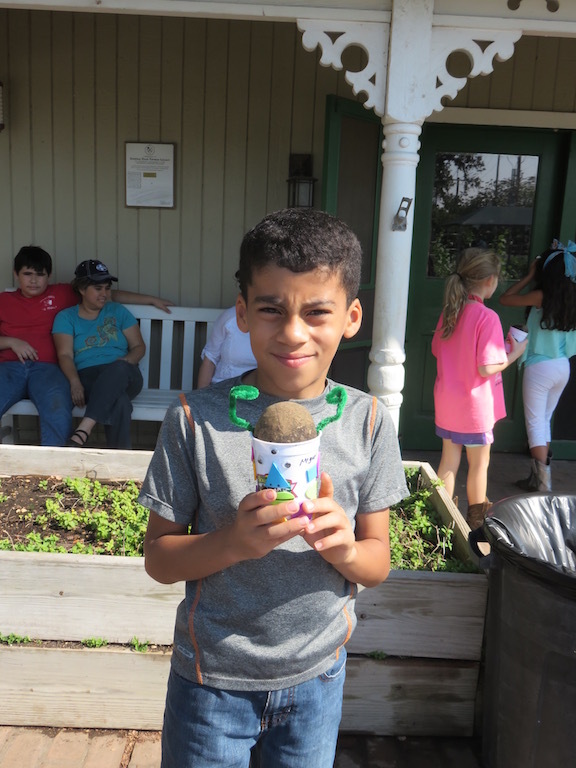 Here is Joshua getting ready to plant his radishes! 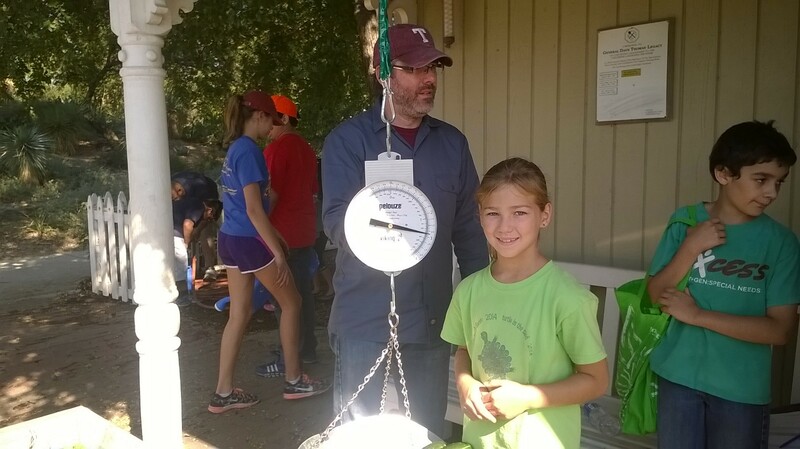 Our Green Growers harvested over 20 lbs. of cucumbers today! Natalie had over 3 lbs. herself. 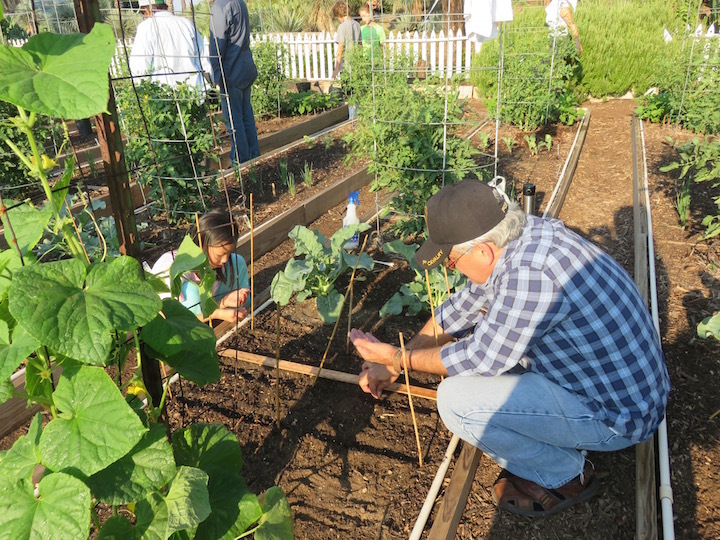 She and her father have been working hard to keep the garden happy! 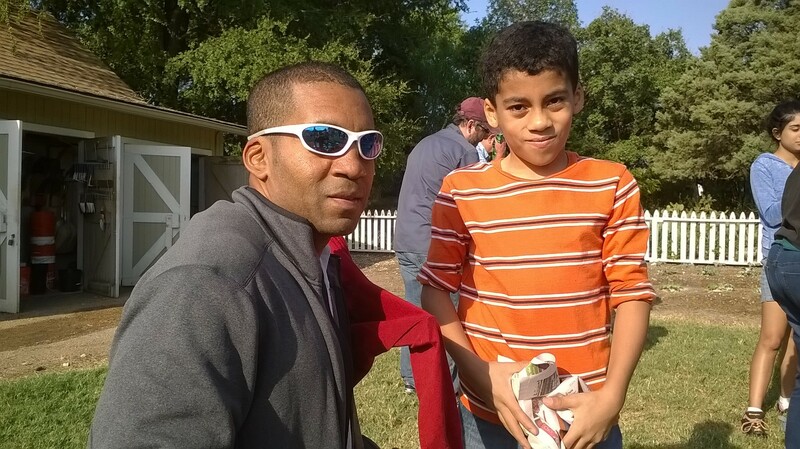 The parents have contributed so much to these activities this season it is wonderful to see the rewards. Thank you Mary! 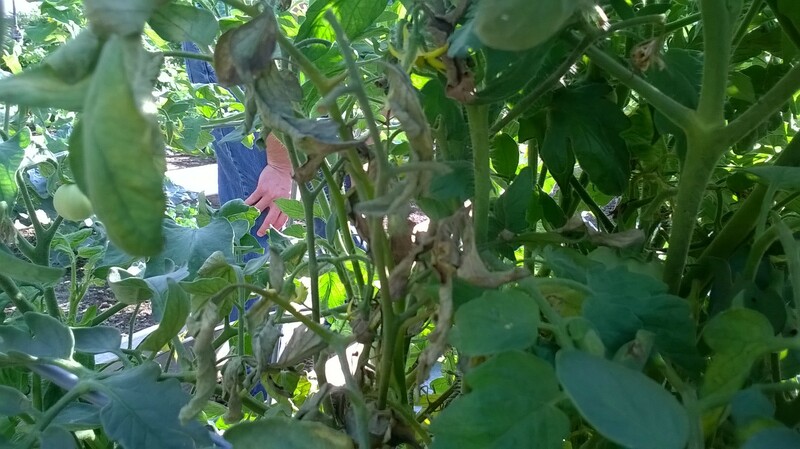 She found a sick tomato plant in our section that has Tomato Horn Worm evidence. 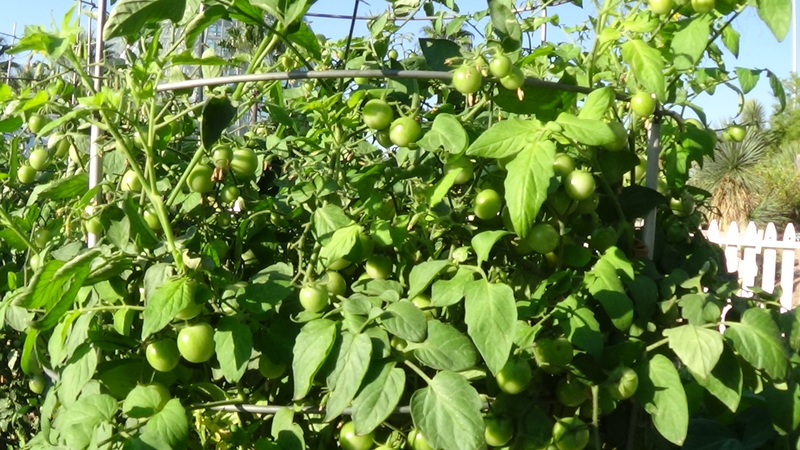 Sandra said “All of the time I’ve ever spent in the garden, I’ve only seen one Tomato Hornworm”. She added, “Of course he looked very fierce!” Mary advised to cut low hanging leaves especially the ones that touch the ground. Pruning and watering were recommended and we will continue to watch. 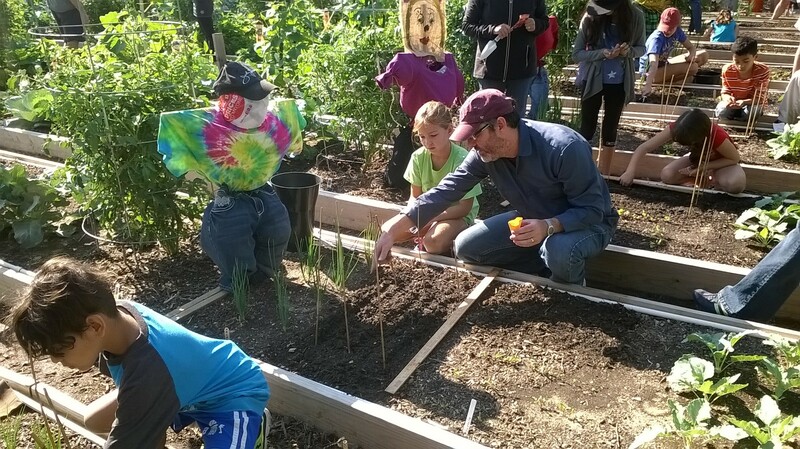 Next, Green Growers gathered for a Scarecrow making activity hosted by JMG. 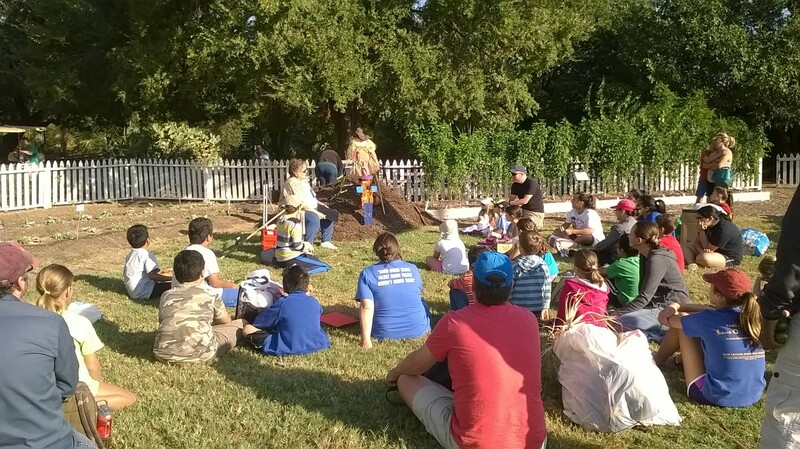 Children were given history about the origin of the scarecrow and invited to create one for their plot. Here is Miguel and his father working on a holiday themed scarecrow! 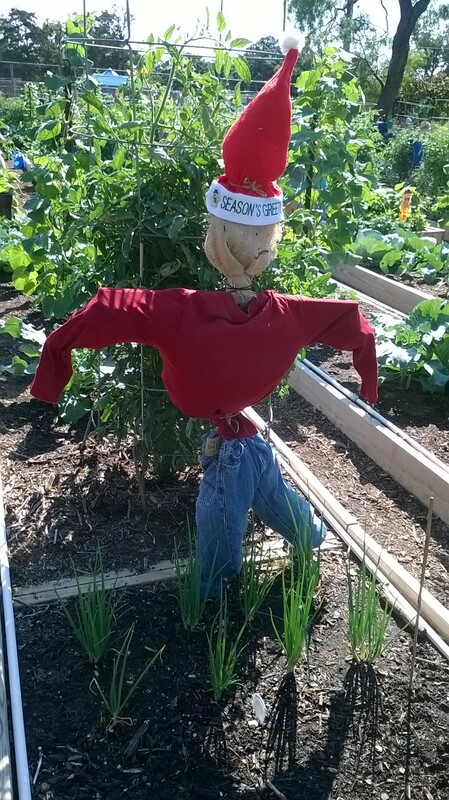 Let’s look at it in the garden.. Wow it’s a Santa Scarecrow! All of the children returned to gardening and placed their security guards at attention! 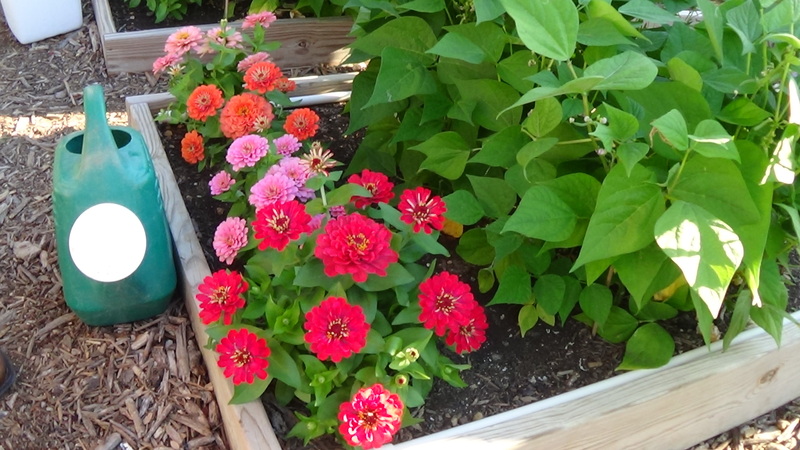 The garden was hopping, buzzing, crawling and alive with motion today!The weather could not have been better and all our vegetables and flowers were filled with color. 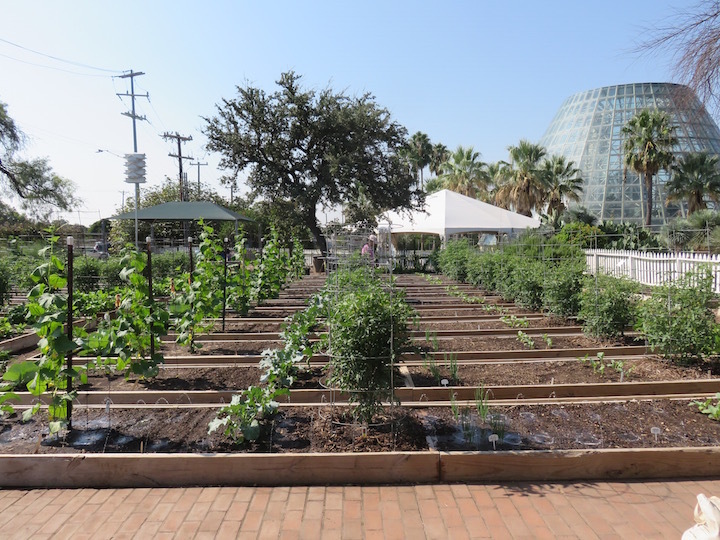 Our gardens continue to flourish…gardening in the morning is a great way to take advantage of the cooler time of the day. When doing our maintenance chores we kept an eye out for cucumber beetles and cabbage loopers to squish, both of which were found in the gardens. 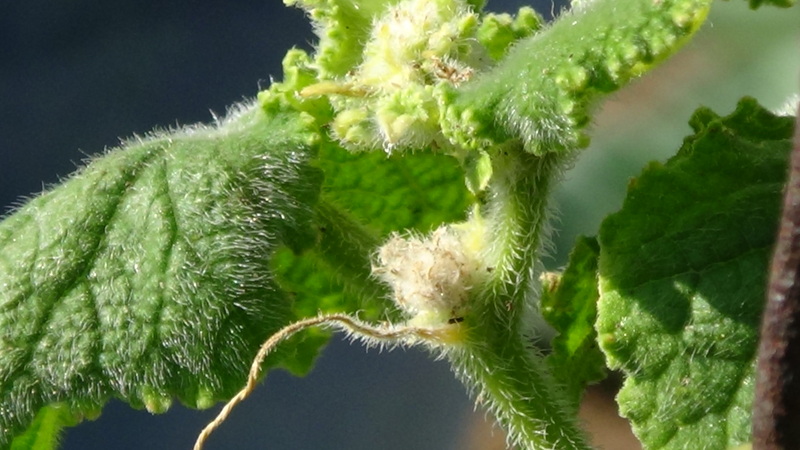 Aphids too. 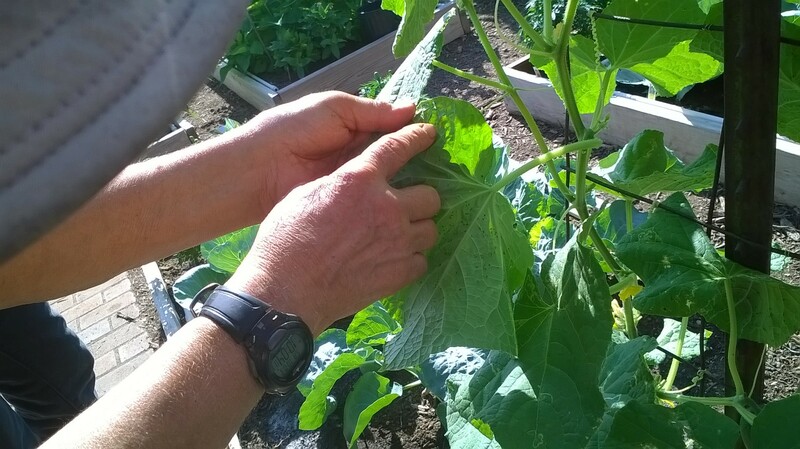 We also pinched back any cucumber leaves that were touching the ground, to reduce the chances of a disease moving from the soil to the plant via those leaves. 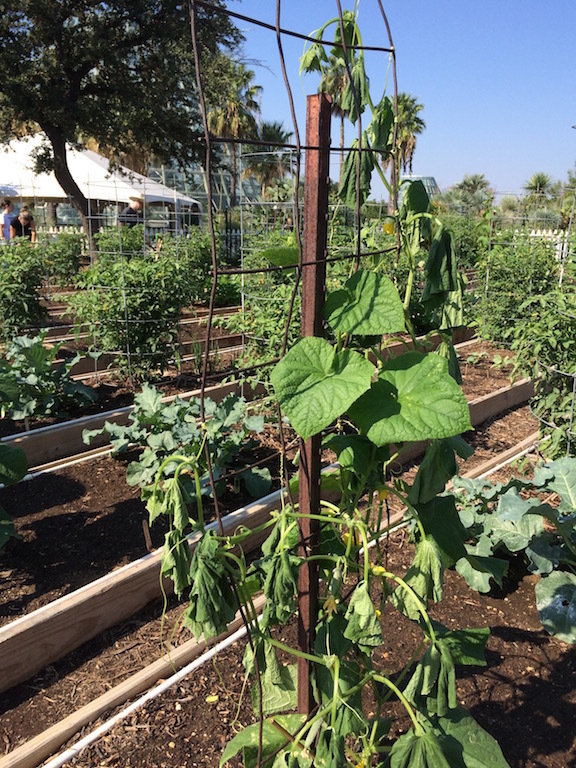 We continued to harvest cucumbers from our plants…don’t they look great! 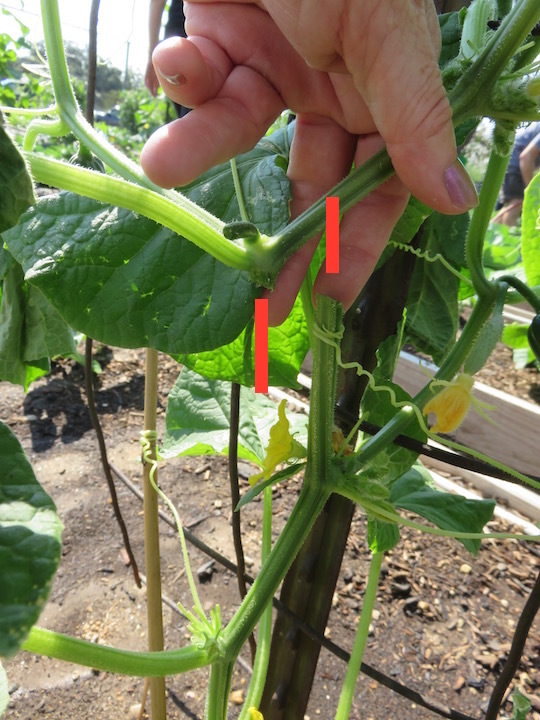 Yes, those red lines in the pic show where the vine was cut in two. 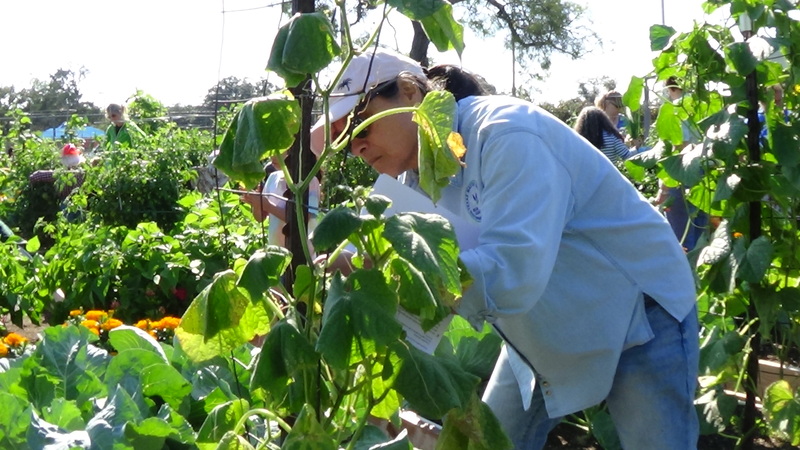 Unfortunately, when harvesting their cucumbers, the gardener snipped through the vine also, which is why part of the plant is wilted and dying. 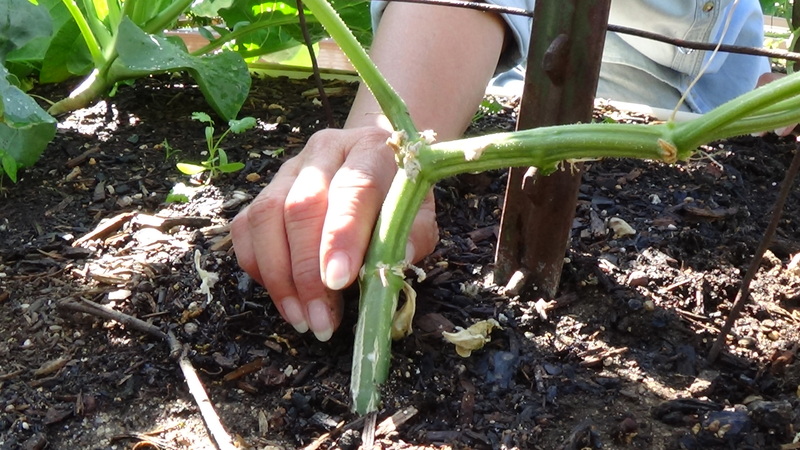 The good news is that not all of the plant was affected, so there will still be some cucumbers from this plant on other vine stems if it survives the major accidental pruning. 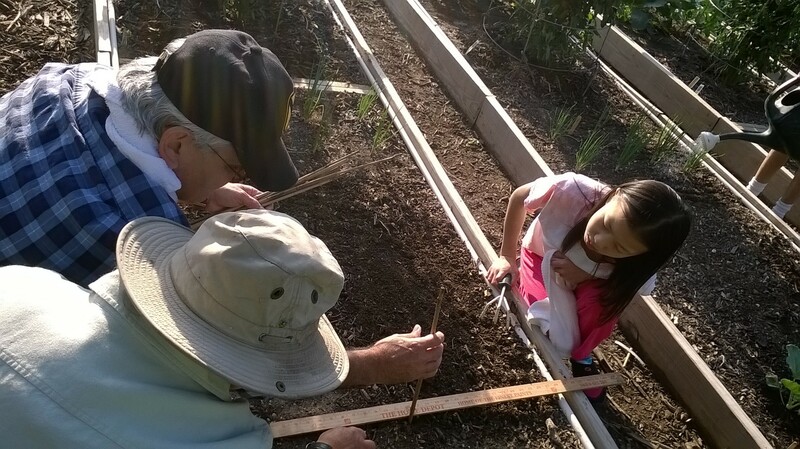 We also have some demonstration plots where plants are grown for seeds or research, and our gardeners, parents, and volunteers help with those two. 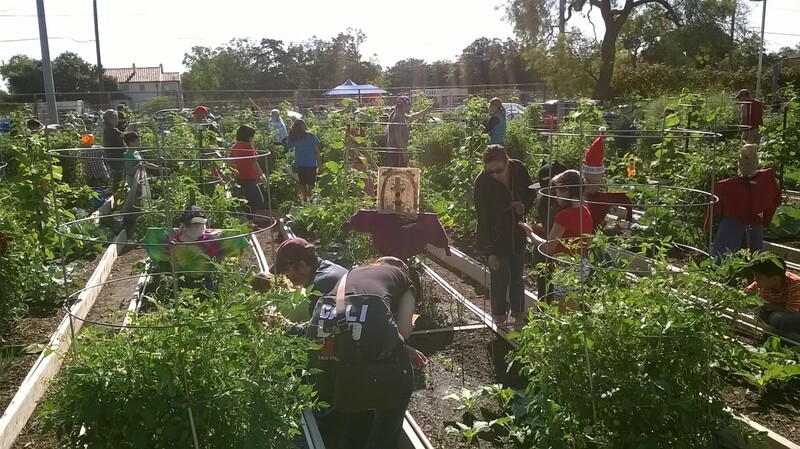 Here is a group planting broccoli and kale. Many hands do make quick work of a task! 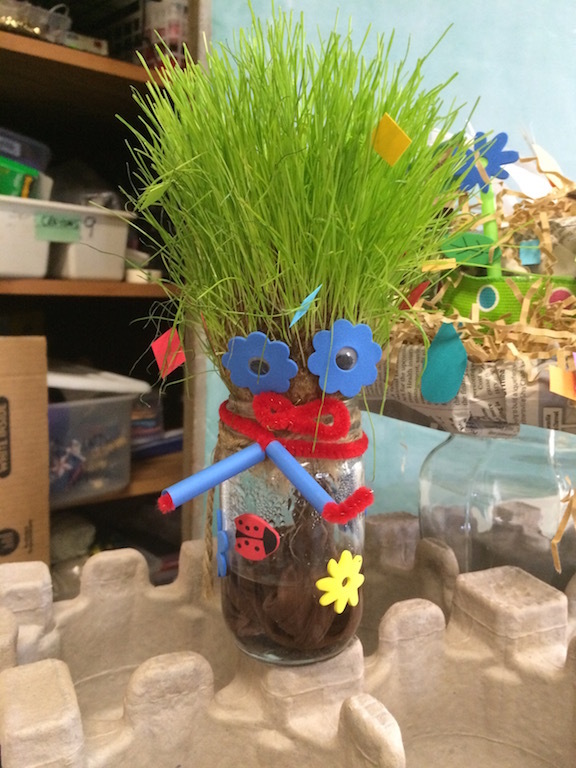 Let’s look at a finished one…in the first pic below, this gardener is showing us the troll he made, and will have fun trimming the grass ‘hair’ as it grows to adjust the hairstyle and make it trollish, The second pic is an example of what a finished plant person will look like when its hair grows in. 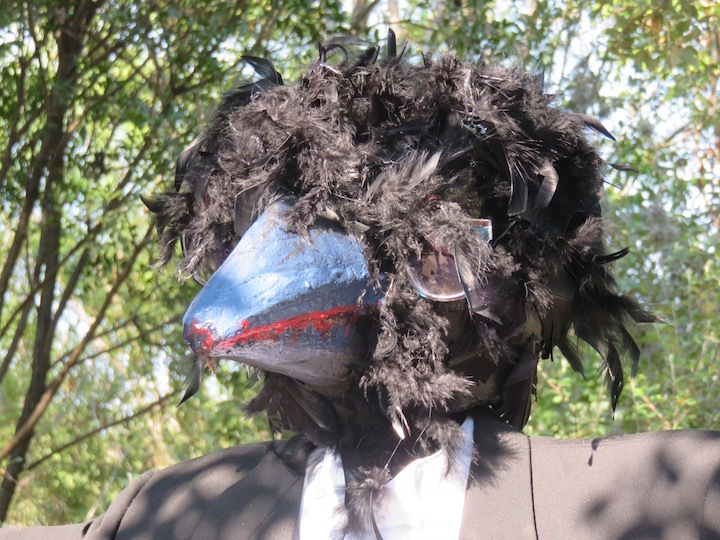 For our extra pic of the week: a scarecrow. 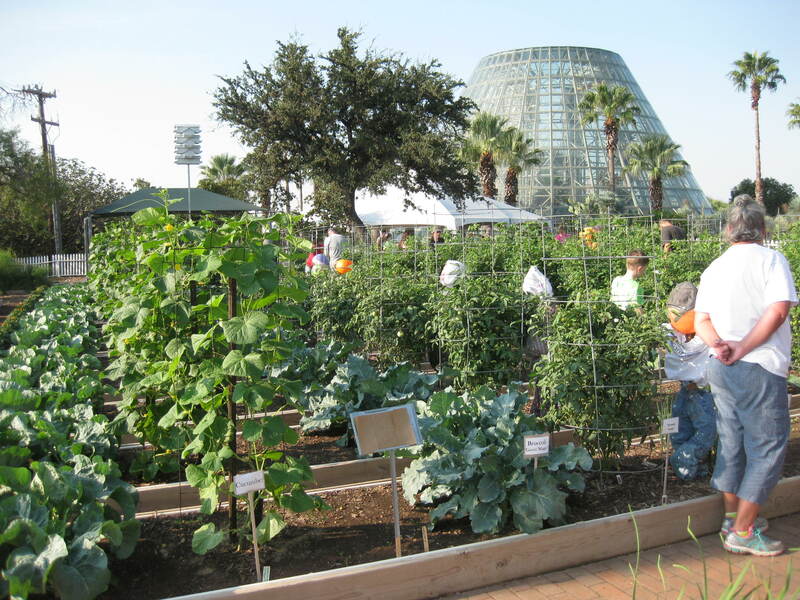 The San Antonio Botanical Garden has their annual display of scarecrows make by different groups. 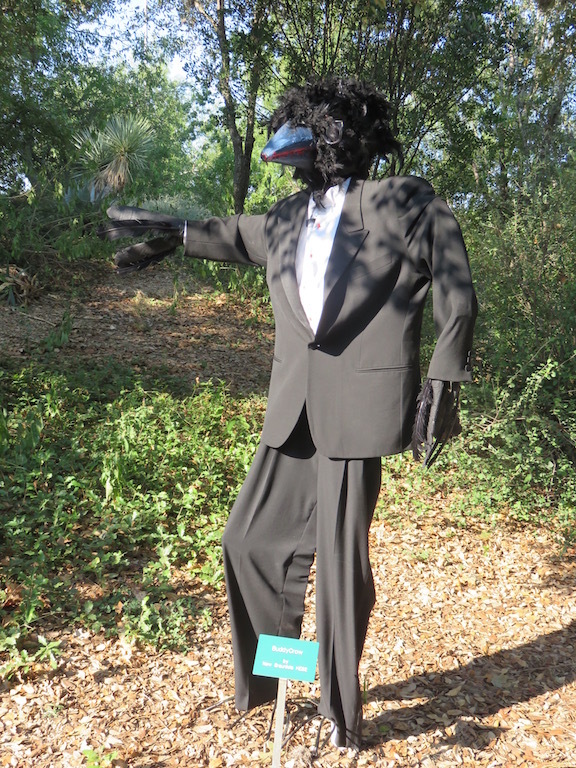 Just for all you Buddy Holly fans, here’s a scarecrow that is near the CVG: Buddy Crow, made by HEB2 in New Braunfels. Love those glasses!